The GOAL World Class field hockey goals are the strongest goals in the industry and meet all international requirements. 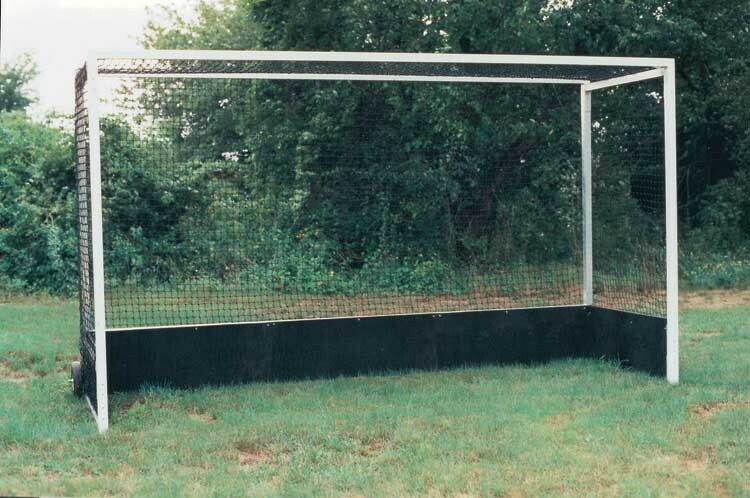 The goals are constructed of 2" square, heavy-gauge aluminum with the front goal mouth and rear frame welded in one-piece. The goals are shipped with 3/4"D x 18"H painted black wood bottom boards that come pre-assembled. Six total pieces per goal for easy assembly.